This promotional campaign decided to spend the Buryats living permanently in America. 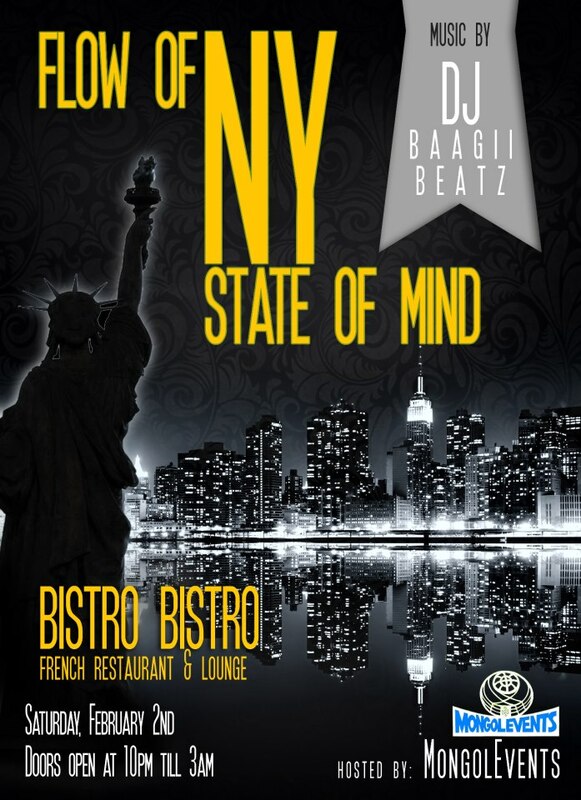 “For the first time in New York today began offering in the U.S. buuzy Mish Mash Cafe at 1103 King Highway. Come! Please support the American initiative Buryats, “- this message has appeared recently in social networks. Author ads Rygzhita Baldanova not the first time noted on the Internet with a creative message. About a month ago, she created a facebook group called “Pedigree drill.” Rygzhita has proposed a scheme by which to recover their ancestral roots. Hundreds of people responded, many managed to get information about their ancestors sometimes from unexpected sources. Including myself Rygzhita by a group within the first two weeks, regained his paternal ancestry to 22 elbows. – Currently, there are changes in the Buryat community at the federal level, the Buryat abolished territorial units – said about his interest in the topic of genealogy Rygzhita. – Also, migration is a drill, we will gradually dissolve in the western culture and forgetting the traditions of ancestors, losing their roots. It’s very sad. And so it is very important not to lose identity and traditions. Buuz preparing to do, she decided, too, especially for patriotic reasons. Rygzhita medical profession, the public has to do with diet as long as her partner, with whom she works on many fronts in the medical field, has acquired a few months ago cafe. According Rygzhity, the project is mainly aimed at the Mongolian, including the drill. However, during the promotion will be free buuzy offered to all comers. Rygzhite, of course, wants the project to justify itself, and in commercial terms. After buuzy promotions will be made to order, there are several drill, expressed a desire to do it. Their cost is inexpensive – $ 5 per dose of 5 buuz. This, incidentally, at the Ulan-Ude prices poses, but by American standards at all cheap. In the photo: Mish Mash Cafe in New York. Chicago‘s Mongolian community gathers this year Sunday 10 am ,July 8th 2012 to celebrate the Mongolian Naadam. This Festivity is the one of the major celebration on the Mongolians honor of the national holiday of Motherland Mongolia. 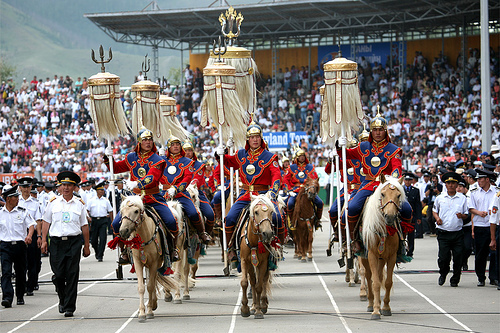 During the celebration, Mongolians compete in traditional sporting events and competitions that include archery, wrestling, and children’s wood horse racing. Chicago’s Mongolian community, while geographically dispersed, is an organized and active group with a strong network of mutual assistance. The Mongolian American Association, founded in 1998, aids newcomers from Mongolia, serves as an organizational center for the community, and sponsors social and cultural events such as concerts and speakers. 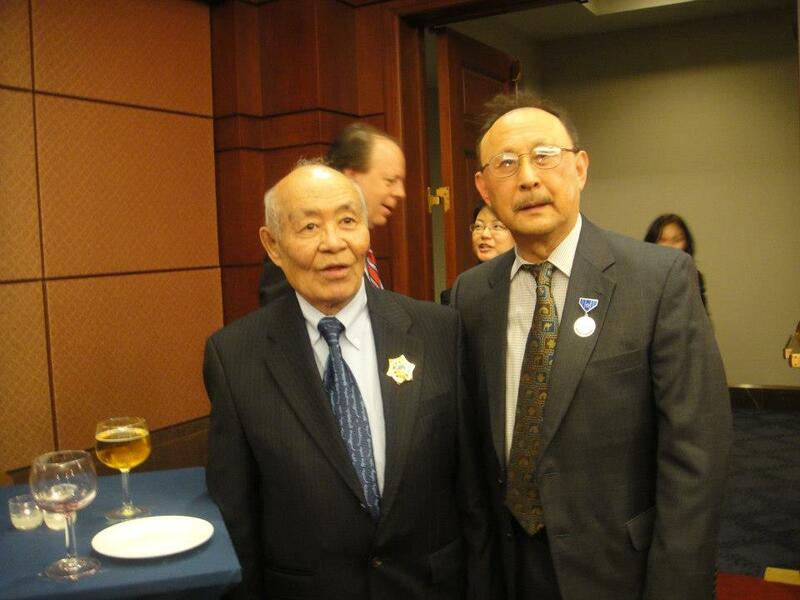 It is affiliated with other Mongolian groups in San Francisco, Denver, and Washington, and by 2001 it boasted 250 members. Some Chicago Mongolians attend cultural events in Bloomington, Indiana, where a small community of Mongols is gathered around the Mongolia Society and Indiana University’s Department of Central Eurasian Studies, the only program in the United States to grant a degree in Mongolian Studies. The community also gathers frequently for parties, concerts, speeches, and other social events and such Mongolian cultural activities as a performance by a Mongolian artist or a visit by a Mongolian Buddhist Monk. The Mongolian community maintains ties with Tibetan Buddhists in Chicago, and the groups sometimes celebrate holidays together. Many of Chicago’s Mongolians are students who came to Chicago to further their education and have chosen to stay in the United States after completing their schooling. Others have come in search of new personal or economic opportunities, and many anticipate their stay to be only temporary. A few Mongolian entrepreneurs have established small businesses, and there is a small professional community. Many Mongolians are well educated but face difficulties on the job market posed by limited English skills and illegal status, forcing them to enter trades and service industries, including rug and carpet cleaning, construction, electrical trades, computers, food service, and custodial work. Annual DC-Arlington Mongolian Community summer “Naadam” – a sports and music celebration featuring Mongolian wrestling competition, children’s foot races, traditional songs and dances, and party . American and Mongolian artists will collaborate and learn from each other, first in the field and then to create an exhibition of art inspired by the trip. There will be venues in both Mongolia and the USA. There will also be a book about the Expedition and the exhibition. The art exhibition will be something new…not just beautiful finished art to view, but each artist will include at least one major work which will be accompanied by the visual and written story behind it- journal entries, field sketches, photographs, preliminary drawings, studies, models- whatever went into creating the finished piece. The goal will be to not only share what we’ve seen, but to show how art is created from a journey like this. And I hope it will enlighten and educate people in both countries about the endangered wildlife and habitats of the Gobi. My current plan is to debut the exhibition in Ulaanbaatar in July of 2013 to coincide with the national Naadam celebration, which is when many special events happen and visitors are coming in from all over the world. Then schedule the US showing for early fall. The exhibition will also be permanently viewable online, for those who are unable to attend it in person. The book will not only be an exhibition catalog of all the art and images of the supporting materials used for the major works, but also the official record of the Expedition, including journal excerpts, stories and also photos taken en route. It will be produced in at least two ways…an e-edition and a print-on-demand “real” book. The Mongols have a deeply embedded land ethic going back over 1000 years (the toes of the traditional herder’s boots are upturned so as not to scuff the earth) and there is substantial grassroots support for conservation. The arrival of extremely large mining projects, upon which Mongolia’s economic future depends, is a source of both hope and great concern. I would like this cross-culture collaboration to provide one way, through the arts, of showing how special the land and wildlife of Mongolia are. We will be visiting three areas with endangered species and habitats at risk. Artists can bring a very special focus and attention to conservation and environmental issues. The WildArt Mongolia Expedition is my way of doing this in one particular part of the world. Expedition arrangements are being made and staff provided by Nomadic Journeys, with whom I have traveled for five out of my six trips to Mongolia. We’ll be traveling in rugged go-anywhere Russian fergon vans, tent camping for 18 nights under millions of stars, surrounded by peace and quiet that’s almost impossible to find anymore. The Expedition tent, housing the kitchen and dining area, along with work and relaxation space, will be a traditional Mongol summer tent called a “maikhan”. Donors at or above the $1000 level will have their names on the tent. I’ll be communicating directly with our donors through the project’s Kickstarter blog. Everyone who is interested can follow the Expedition’s Facebook public page, my own blog and a WildArt Mongolia Board on Pinterest. I will do my best to help you feel what it will be like to travel to an extraordinary place and see the animals, land and people of Mongolia, learn about the art and artists and the conservation challenges. PLEASE SUPPORT THE WILDART MONGOLIA EXPEDITION! Your donation will support not only the three-week Expedition itself, including art materials, field equipment such as the maikhan and our guide, drivers and cook, but also the art exhibition and the WildArt Mongolia Expedition book. Thank you for your time and interest in The WildArt Mongolia Expedition! Many thanks to Multicultural Media for the use of “Song of Praise; Altai yin magtagai”. In the Gobi the roads really do go ever on. Please join me on this artistic adventure by donating generously.In the Gobi the roads really do go ever on. Please join me on this artistic adventure by donating generously. A tiny Jersey ethnic group traces its roots to Mongolia and Genghis Khan. Maria Taunov, an ethnic Kalmyk who lives in Howell, prays at her home altar before a portrait of the Dalai Lama as a young man. Photo by Marc Steiner/Agency New Jersey. Augnel Buruschkin (in the Howell temple) begins each day with two hours of prayer. Photo by Marc Steiner/Agency New Jersey. Geshe Dawa is one of the spiritual leaders of the Tashi Lhunpo Buddhist temple in Howell. Photo by Marc Steiner/Agency New Jersey. Route 9 and Freehold suggest Bruce Springsteen’s “Born to Run” and the lyrics, “Sprung from cages on Highway 9” and “Baby, this town rips the bones from your back.” They don’t conjure up the quietude of the three Buddhist temples and the Mongolian people known as the Kalmyks I encountered recently just off Route 9 and just south of Freehold. Never heard of the Kalmyks? Neither had I, until I learned that this group of approximately 3,000 people—mostly New Jerseyans centered in Howell Township—is celebrating its 60th anniversary as Americans in 2011. New Jersey must indeed be the nation’s most ethnically diverse state if we have ethnic groups most of us have never even heard of. This year’s New Jersey Folk Festival, which often focuses on one of the state’s ethnic groups—its music, dance, and folklore—is featuring the Kalmyks on April 30 at an all-day event on the Douglass Campus of Rutgers University in New Brunswick. The Kalmyks’ native land, Kalmykia, is one of the republics of the former USSR that remains within the Russian Federation today, with a population of about 350,000. It is the only predominantly Mongol and Buddhist land in Europe. Many Kalmyks, siding with the Whites against the Reds, fled the Soviet Union during the Bolshevik Revolution, and the remaining Kalmyks were deported to Siberia during World War II because of alleged anti-Soviet sympathies. It was not until 1951 that Kalmyks began to come to New Jersey. Earlier, they had been rejected under the Asian Exclusion Acts (repealed in 1943) and immigration quotas based on race (repealed in 1965). They found an ally in the United States Attorney General who argued that since Kalmykia is in European Russia, the Kalmyks are Europeans not Asians, going so far as to insist that they are “Caucasians”—which is silly, but so is racism. Virtually all of the Kalmyks who began coming to New Jersey in 1951 had spent the years after World War II in displaced persons camps in Germany. They ended up there because, as the Nazis began their long retreat after the Battle of Stalingrad, some Kalmyks followed, staying just ahead of the Soviet Army. Originally a nomadic people, the Kalmyks were one of the innumerable tribes united by Genghis Khan in the course of conquering much of Europe and Asia in the 12th and early 13th centuries. 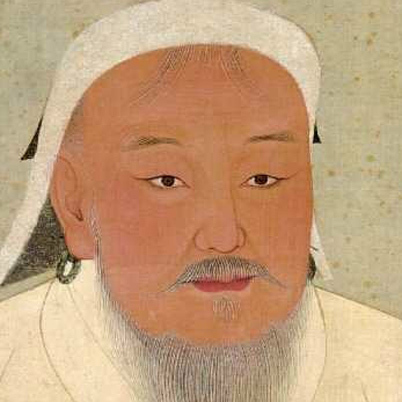 When the Mongolian Empire faded into retreat, the Kalmyks were incorporated into Russia. American Kalmyks speak English, of course, but may also speak Russian and Kalmyk. Anyone who has seen the Star Wars movies has heard Kalmyk spoken. It is the language of the Ewoks, those furry, cuddly bipeds living on the moon of Endor who, you may recall, were easily understood by the linguistically gifted robot, C-3PO. It is almost as if one is on a New Jersey version of the moon of Endor when standing on Kalmuk Road (Kalmyk is spelled in a variety of ways) just short of where it becomes a dirt road leading to the Tashi Lhunpo Temple. The street may be considered the physical center of Kalmyk life in New Jersey; it inspired the title of a book in 2004, The Street—Kalmuk Road. I find myself inside the temple’s social hall along with Maria Taunov and Augnel “Alta” Buruschkin, and also a monk serving us tea. I am told that the way to greet a monk is with a two-handed handshake, one’s forehead lowered onto the linked hands. The monk good-naturedly laughs at my clumsy greeting. On arriving in their new land, most Kalmyks entered the building trades but, over the years, gravitated into electronics, professional careers and white-collar jobs. Buruschkin works for a consulting company. Taunov is a legal assistant at a New York City law firm, commuting to work and chanting her morning prayers quietly on the bus. On weekends she chants them at the altar found in most Kalmyk homes. I was introduced to Taunov and Buruschkin by Nicholas Olefer Jr., a Caucasian of Russian descent who is a convert to Buddhism and is on the New Jersey Folk Festival board. Olefer lives in Westchester County and practices and receives instruction at a Buddhist monastery in Carmel, New York. “No one cares who you are in a Buddhist environment; they care who your teacher is,” Olefer explains. Later in the day, the three took me to Rashi Gempil-Ling, another of the Buddhist temples just off Route 9. There were two buildings, a small one essentially empty except for a large prayer wheel—a round, beautifully decorated device believed to contain a million printed prayers wrapped around a central core. “We spin the wheel as a means of getting our prayers to multiply as they fly out into the world,” says Buruschkin, who has a small prayer wheel in his home. We removed our shoes and entered the temple, where a service was going on. Everyone sat on the floor on pillows. One was handed to me, and I did my best to resurrect an earlier familiarity with the lotus position, only to develop a cramp in my left leg. The service was presided over by Art Engle, a Caucasian lay-teacher married to a Kalmyk woman. Engle has a PhD. in Buddhist studies from the University of Wisconsin. The service was conducted in Tibetan, and Engle swayed side to side as he chanted, as did many of those in attendance, including a Buddhist nun. I was struck by the fact that half the people at the service were non-Asian. It was peaceful in the temple. I didn’t relish the prospect of facing the traffic for the drive home. The temple was only feet from Springsteen’s Route 9 and the suggestion, as in “Born to Run,” that one should flee the rapid pulse of New Jersey life. But in that temple, if only for a short while, I found an oasis of calm. Contributing writer Michael Aaron Rockland’s two most recent books are Stones, a novel, and The George Washington Bridge: Poetry in Steel. A forthcoming memoir will cover the years he spent in Spain as a cultural attaché. Embassy of Mongolia at 2833 M Street, NW in the Georgetown neighborhood of Washington, D.C. The building is a contributing property to the Georgetown Historic District, a National Historic . Once a year, the Jersey Access Group, a forum for promoting quality operations for New Jersey’s public television stations, holds an awards ceremony to recognize video excellence from the previous year. The program showcased the little-known group of about 3,000 Kalmyk-Americans in New Jersey. Their community was originally established during the 1950s in Howell, New Jersey. These people were originally refugees from Russia and were rapidly assimilated. In the program, Gillespie interviewed Tserendorj Amarhanov, who is representative of the revival of Kalmyk culture around the world. Amaranhov was born in Philadelphia in 1980 and raised in the greater Philadelphia area. He left America at the age of 17 and lived in both Kalmykia and Mongolia before returning to the U.S. at age 21. He is a Kalmyk folk-musician, multi-instrumentalist, composer and throat-singer. Our mission is to facilitate and foster Mongolian American students to achieve their educational and professional career goals, while strengthening and sustaining better communities. Education is the ultimate key to success. There are many Mongolian Americans who miss the opportunity to get higher education due to lack of information. Many think they can’t juggle their time well between work and school. Some think they can’t attend college because they are undocumented or they can’t afford it. Some may not even see a well advantage from attending a college. Thus, Mongolian American Cultural Association will help you provide information and encourage students to achieve their educational and career goals. Are you Mongolian currently living in the United States ? Are you currently enrolled in school ? What is the highest level of education your father has completed? What is the highest level of education your mother has completed? Is your immediate family currently living in the United States? What was the main reason you/your family decided to move to the United States? Would you be interested in joining a not for profit Mongolian American student organization? What the main reason you are interested in joining a Mongolian American student organization? What activities/events would most attract you to attend an event? Where do you see yourself in the following years? Do you feel adequately prepared to get a job? What do you think is your biggest career challenge? In your opinion how important is it to have career guidance and access to careers services like Career finder tests, interview coaching, CV clinics, etc. at this stage? At what age did you come to the states? What is your household income in U.S. dollars? What is your current residency status in the United States? What is your living condition? Would you like to be entered into a raffle for $50 Visa Gift Card? If you click yes, then you will be asked to provide contact information in case you are the winner! Mendit! To recognize the endangerment of the Kalmyk cultural and to help unify the Kalmyk s (and related peoples) separated by lands and waters, this blog is designed to create a safe place for education in, preservation of, and pride in the identity. Cultural revolution (via social media), anyone? Run by New Jersey born half-Kalmyk college student: Elena “Lanie” Emelchin Brunner of the Ombadykow/Ivanchukov flavor. The Hazara of Afghanistan: Cultural Exhibit & Lecture was developed to increase awareness of the rich history and cultural heritage of the Hazara people from Afghanistan, who now live throughout the world. The Hazara ethnic group, the third largest in Afghanistan, is a culture that has survived despite genocide and decades of political oppression at the hands of the Taliban and other Afghan regimes. The lecture and exhibit are the work of Mohammed Rezaee, who emigrated to the U.S. eight years ago. He now lives in metro Atlanta with his wife and family. He has delivered the lecture several times in the Atlanta area, at the same time showing photographs (taken by professional photojournalists) of Hazara life, using computer technology to show the photos in large-scale, living color. More than hundred Americans, including high level officials, attended the opening on January 17, 2012, an evening reception at which the Americans were served Hazaragi foods, (Bosragh and Pirki) prepared by Mr. Rezaee’s wife. They were also invited to a display of Hazaragi clothes. After the gallery reception Mr. Rezaee gave a lecture about the history of Hazaras and the current conditions of the Hazara people. Also, a brief history of Hazaras, which was written by a famous Hazara historian, Haji Kazim Yazdani, was distributed to those in attendance in a brochure format. There was a separate opening for Afghans. Mr. Baisr Dolatabadi, Mr. Abdul Khaliq Hazara, and Ishaq Mohammadi gave lectures—via Skype—about Hazaras’ history, culture, customs, and the current condition of the Hazara people. The on-going photo exhibit features works of Hazara photojournalists Hafize Besharat, Muzafer Ali, Barat Ali Batoor, Sajad Goher and Mohammad Rezaee, which had never been seen before in the United States. The photo exhibit (large framed copies of the photographs) was on display at Tucker Public Library, metro Atlanta, until March 28, 2012. Many Americans visited the photo exhibition. The lecture-exhibit will again be presented, at no cost, on June 14, 2012. Georgia Perimeter College, which is one of the largest of Georgia’s institutions, will host the presentation at their Dunwoody Campus. The photo exhibit will be open to the public through July 13, 2012. You are cordially invited to attend the lecture for the opening of the photography exhibit, on Jun 14, 2012. The lecture will include a food tasting, a display of traditional clothing items, and discussion of the history and unique culture of the Hazara people. If you want to receive email notification of upcoming events, send your email address, city, and state to the webmaster jbb@kovitzsystems.net. Please make sure your email is set up to allow receipt of email from jbb@kovitzsystems.net. On May 20th, 2012 Heritage Auctions will place scientifically important fossils from Central Asia, including a Tyrannosaurus (also known as Tarbosaurus) bataar skeleton (lot 49315), on the auction block. These fossils are strongly suspected by scientists from Mongolia and the United States of having been illegally collected from Mongolia. Mongolian law forbids the export and sale of fossils collected in the country. The President of Mongolia, and scientists from Mongolia and the United States have spoken out against this apparent theft of the scientific heritage of Mongolia. These priceless scientific and natural resources belong to the people of Mongolia and should be returned to their rightful owners, not sold to the highest bidder. If Hertiage Auctions has compelling evidence that these fossils were not illegally collected from Monglia they should disclose that information immediately.